Over the years of working in the Sliding Door Repairs industry, we’ve come across a number of useful and highly relevant website links we believe will be of benefit to you. Feel free to click on each of the links and they will open to the respective companies website. Established in 1975, Access Hardware is a family owned Australian company dedicated to excellence in all aspects of product and services throughout Australia. Vantage Residential. Contemporary aluminium windows and doors for your lifestyle. Market leader as a manufacturer of building products for commercial and industrial use through innovative design and proven product excellence. Besam: providing automatic door solutions and service for automated sliding-, swing- and revolving doors for more than 45 years. DORMA is a leading manufacturer and supplier of automatic doors, operable walls, glass patch fittings, rails and sliding door assemblies, door closers, locks, levers and other door hardware. DORMA provides comprehensive “service and maintenance” packages for automatic sliding and swing doors, door closers and movable walls or partitions. Heatley Industrial and Safety supplies a wide range of quality industrial and safety products to all facets of the Australian Industry. Jomon Architectural Hardware was established in 2001. Although we are a relatively new company, our staff combined have over fifty years experience in the architectural hardware field. Lock & Key is a major locksmith supply merchant servicing the Australian and NZ markets. In our industry, we are the company more locksmiths choose. Fastening systems, top quality tools and building products for professional customers in the construction and building maintenance industry. McCallum & Co. is a privately owned Australian company, based in Sydney, that manufactures, stocks and markets high-quality hinge products that meet both the Australian and International requirements. National Screens are Australia’s leading fly and insect screen suppliers specialising in retractable insect screens. Romak Hardware Distributors were established over 25 years ago. Back then, Romak was a small wholesaler servicing retail outlets throughout Australia with a small range of shelf hardware. Sapphire Aluminium is Australia’s most recognised supplier of anodised and powder coated aluminium to architects and builders. 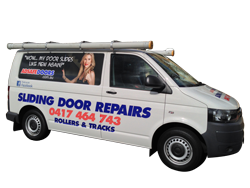 Since 1994, Vinco Hardware has provided the Australasian market with a range of premium quality residential, commercial and architectural door hardware from our distribution office in Sydney, Australia. Feel free to contact us if you feel your service can add value to our customers. Be sure to Bookmark or ‘Like’ this page so you can find it easily next time.